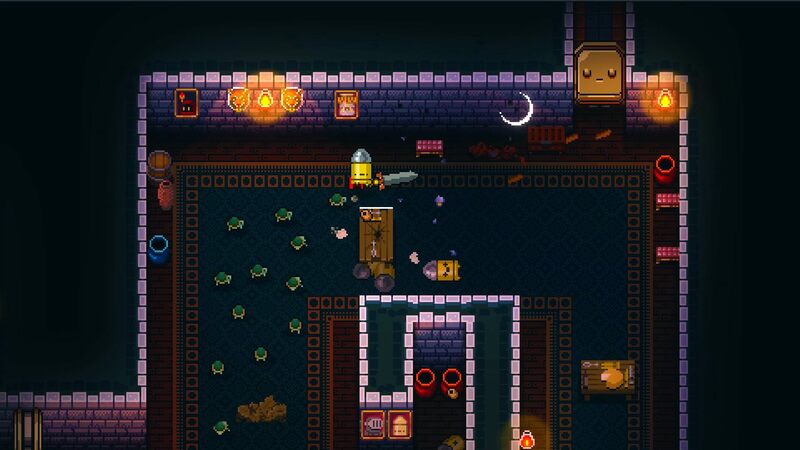 It's almost been three years since Enter the Gungeon released and the development studio, Dodge Roll, is preparing to say goodbye to the roguelike twin-stick shooter. The team is doing so with A Farewell to Arms, a free DLC pack that will go live on April 5, 2019. Dodge Roll initially intended to do a smaller update that would release before 2018 closed out, but the plan change as the team continued to add new stuff. A Farewell to Arms is the final Enter the Gungeon update and the team is going out with a bang. In this free DLC pack, players will find two new characters, a new powerful enemy variant, and a new secret floor with its own special boss. "This boss is in some ways the ultimate form of every joke or reference in Enter the Gungeon," says Dodge Roll game designer Dave Crooks. "It holds a particular place in our hearts, and it is something we probably would never have been able to do if you all hadn't helped make Enter the Gungeon the success it has become." "Enter the Gungeon has been so much more successful than we ever dreamed to imagine. Its success has changed our lives and allowed us to support it for years with free content, which in turn has made the game much better than it was at launch. The Gungeon community has been nothing short of inspiring, and in our opinion, it continues to be one of the nicest game communities we have ever interacted with. Personally, it never gets old to read the fan theories, or see the awesome fanart. The fact that there are still so many people interested in Gungeon three years in is truly amazing. Thank you sincerely, form everyone at Dodge Roll for the support of this game, thank you for laughing at our puns, and enjoying, or at least tolerating, our Die Hard, Metal Gear and other references. 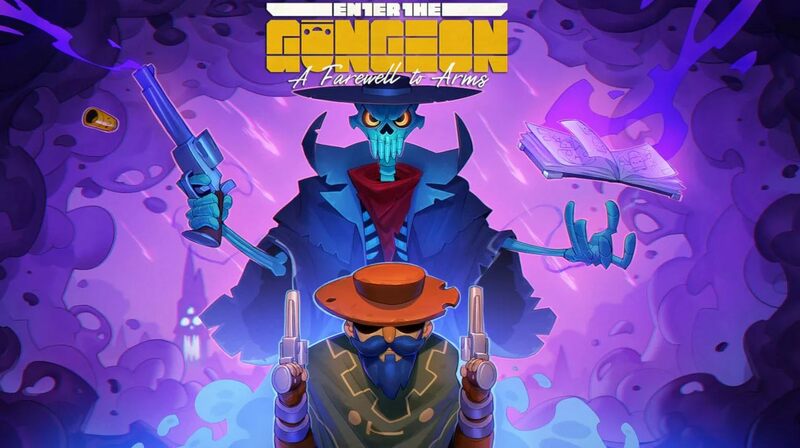 Enter the Gungeon is Dodge Roll’s first real game release and while we are very proud of the game, we are also extremely excited to move on to new projects full time. Hopefully, we will be able to apply all we’ve learned during Gungeon’s development to make something even better. If you enjoyed Enter the Gungeon, we sincerely hope you will check out whatever we make in the future, Gungeon-related or otherwise. This may be the end of Enter the Gungeon, but the Gungeon remains. Enter the Gungeon is available now on PC, Nintendo Switch, Xbox One, and PS4. A Farewell to Arms is a free update for all owners of the game and it goes live on April 5, 2019. Stay tuned to Shacknews for additional gaming and tech updates.